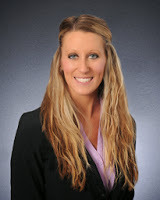 Cortney Heaslip, Licensed Assistant and Transaction Coordinator. Cortney got into real estate in high school while working for her father’s real estate company in Monroe. Since then she has gone on to get her real estate license and was an agent for a few years in the Madison market. She loves to problem solve and is very excited to help in the real estate process to make it less stressful for the clients.